This sofa table is part of a set for a golf course. 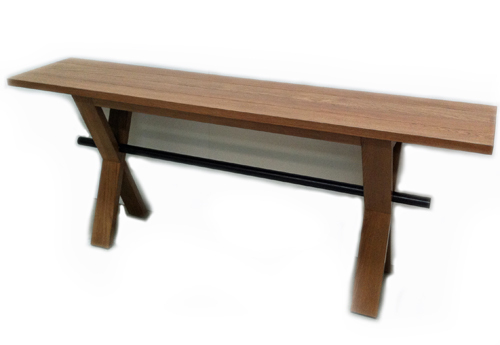 It is made from American White Oak and features a groove detail through the top for a subtle stylish touch, while the crossed legs and black stained rod gives it a distinctive appearance. It is finished in a custom stain and 2 pack satin lacquer.